Salomé, it's a very 50'S skirt with pleats on the front and back. 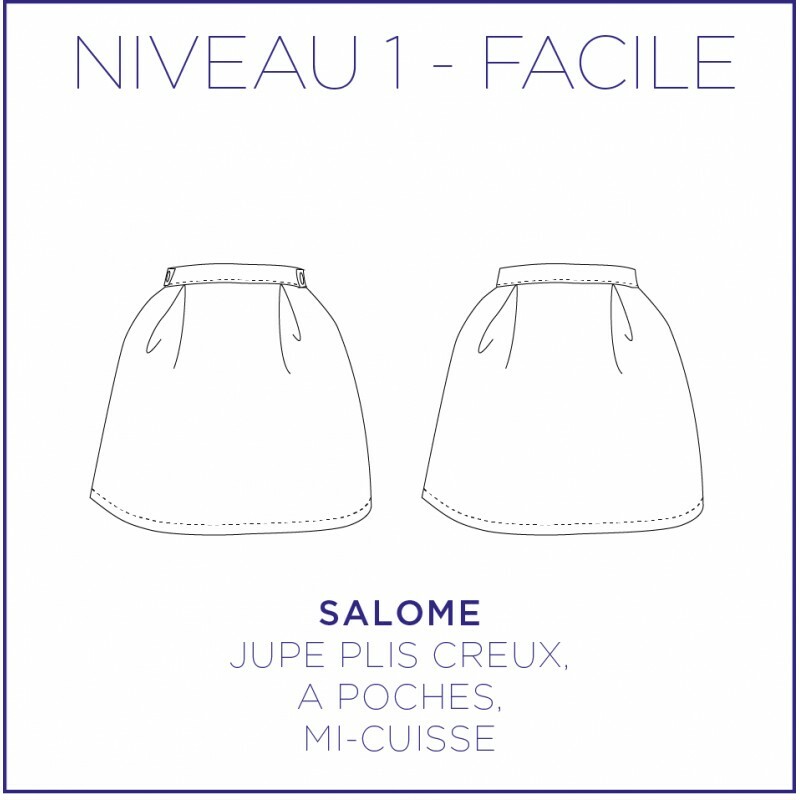 Salome is a feminine skirt very easy to wear in summer and winter. Skirt easy to make and to wear. Mid-thigh length skirt (47 cm from the waist), with pockets. Thanks to its bellows system in the pockets, there is no zipper to mount. If you prefer to mount an invisible zipper, you can remove the pockets. For this model, you can use many different materials. The heavier and more structured your material is, the more you will have a balloon effect. 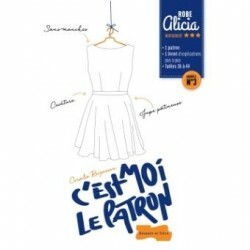 You can, for example, use neoprene, cotton piqué, jacquard or woolen. To wear closer to the body, opt for a crepe. Here, the neophrene adjourned skirt is from Tissus Bennytex and woolen from Sacrés Coupons.